UPDATE: FACEBOOK founder Mark Zuckerberg has finally commented on the growing crisis that has wiped tens of billions from the company's share price. Politicians in the US and UK have called for answers about what the social media giant knew about how personal data was being shared. The 33-year-old, who was once speculated about as a presidential candidate in the making, had gone to ground despite calls for him to face inquiries in person on both sides of the Atlantic. It comes after a whistleblower claimed Cambridge Analytica used data harvested from up to 50 million profiles to determine voter preferences. But in a Facebook post this morning, Mr Zuckerberg has addressed the issue and the measures Facebook has taken. "We have a responsibility to protect your data, and if we can't then we don't deserve to serve you," he posted. "I've been working to understand exactly what happened and how to make sure this doesn't happen again. The good news is that the most important actions to prevent this from happening again today we have already taken years ago. But we also made mistakes, there's more to do, and we need to step up and do it." EARLIER: IT'S the billion dollar question on everyone's lips: Where on earth is Mark Zuckerberg? 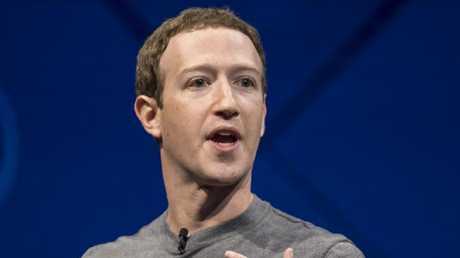 The Facebook CEO and founder is yet to comment on the growing crisis that has wiped tens of billions from the company's share price as politicians in the US and UK call for answers about what the social media giant knew about how personal data was being shared. The 33-year-old, who was once speculated about as a presidential candidate in the making, has gone to ground despite calls for him to face inquiries in person on both sides of the Atlantic. Axios reports the Facebook CEO will break his silence in the next 24 hours on the subject that has led to calls for users to delete the social network. The website claims Mr Zuckerberg's comments will be aimed at "rebuilding trust" and he has been speaking with engineers behind the scenes about what can be done to make the site more secure and reassure users their data is in safe hands. On Wednesday, former Facebook platform operations manager Sandy Parakilas told UK MPs the company was blase about third party developers accessing user information prior to 2014 when it changed the Friends Permission features. 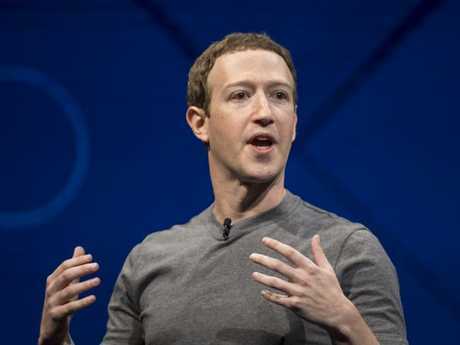 When asked if CEO Mark Zuckerberg was aware of a presentation he gave outlining his concerns to privacy executives, he said: "I think it was well understood both internally and externally there was risk with respect to the way Facebook platform was handling data. "I don't think it was a secret that this was a problem." Mr Parakilas said the company attitude to data gathering could be described as the "wild west" and the unofficial motto was "move fast and break things" in the quest for new users. "Most of the goals of the company were around growth in the number of people who use the service," he said. "Some of the most popular apps had hundreds of millions of users. I believe that some of those apps were asking Friends Permission so there was a huge amount of data being pulled from Facebook as a result. It was concerning to me." It comes as the #DeleteFacebook movement is backed by Brian Acton, the co-founder of messaging service WhatsApp that Facebook bought in 2014. "It is time. #deletefacebook," he tweeted. "Delete and forget. Now's the time to care about privacy." Hero to zero. Mark Zuckerberg is copping a backlash over his delay in speaking out. Picture: David Paul Morris/Bloomberg. Meanwhile a slew of stories instructing users on how to delete their profile or turn off certain features have appeared, with many noting deleting an account is not as simple as it sounds. Early investor, Roger McNamee, told the US National Public Radio the site was losing trust. "The issue is a callous disregard for the privacy rights of users and a lack of care with respect to data that had been entrusted to Facebook," he said. The data scandal follows a crisis over "fake news" spread during recent elections and concerns that Facebook and other social media apps are bad for mental health. Last November former Facebook President Sean Parker said the site is putting children's mental health at risk by "exploiting a vulnerability in human psychology". Meanwhile the Cambridge University researcher who developed an app used by Cambridge Analytica to harvest data from millions of Facebook users claims he has been made a scapegoat during the ordeal. Alexandr Kogan told the BBC he believed all the information he provided was obtained legitimately. 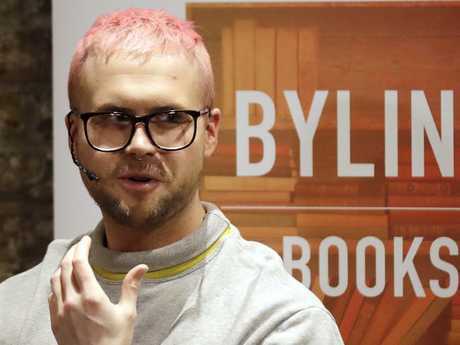 He said he was approached by Cambridge Analytica, which is being investigated by British and US authorities for possible misuse of data. He said: "They approached me. In terms of the usage of Facebook data they wrote the terms of service for the app, they provided the legal advice that this was all appropriate." Cambridge Analytica has suspended its top executive as possible misuse of data is checked. Both Cambridge Analytica and Facebook have denied any wrongdoing.